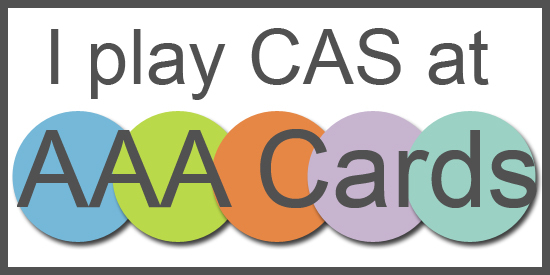 Playing along today with the Less is More/AAA CAS Cards challenge, making a CAS card with colored card stock. And we have two weeks with this one, so maybe I'll be inspired to enter more than once! For this card I used a speckled kraft stock from my stash, and created a centered background blending Distress Oxides in Broken China and Orange Marmalade. Next (this was the fun part!) I stamped the word "you" from Concord & 9th's Lily stamp set, using just water to create a shadow on the distress oxide background. 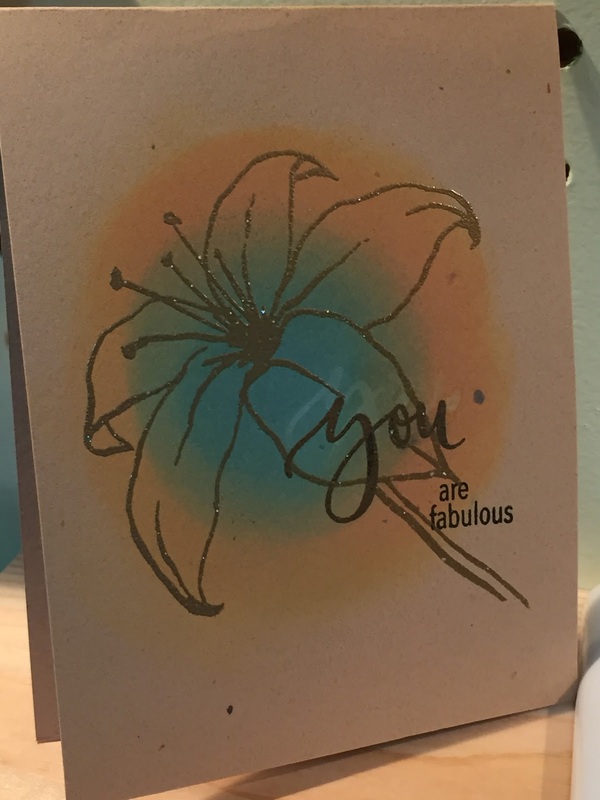 Then I stamped with Versafine onyx just under the shadow, stamped the lily with Versamark, and heat embossed using Stampin Up gold embossing powder. Finally I stamped the rest of the sentiment with Versafine. I've never seen speckled Kraft cardstock. Very cool. I also rarely see DOX inks used on coloured cardstock. So fun. Thank you for joining us at Less is More in collaboration with AAA Cards. Thanks, Trina. The cardstock is hard to find! Super card and I've never seen speckled kraft cardstock either - sounds really fabulous. Thanks for playing at AAA Cards. It's one of my favorite cardstocks from Stampin' Up that was discontinued. I've seen it at Hobby Lobby recently, though, and I think Gina K Designs has it online. I know what you mean, I've been hoarding this cardstock for years, but since I saw it at Hobby Lobby not long ago I decided I needed to throw caution to the wind and break it out! Lovely one layer card. Thanks for playing along with us at AAA Cards! The gold embossing looks fun on the kraft cardbase. Thank you for sharing with us at AAA Cards.